On May 5, 2016, The Two Hundred Club of Essex celebrated its 50th Anniversary…50 years of dedicated service to the dependents of police and Firefighters in Essex County and state troopers in New Jersey who lose their lives in the line of duty. The Club celebrated this milestone at its Annual Valor Awards luncheon at Nanina’s In The Park in Belleville, NJ with an extensive program. As you know, the purpose of this luncheon is, and has always been, to honor our police officers and Firefighters of Essex County, who demonstrate exceptional courage and fortitude while performing their duties throughout the year. This year, we were grateful to acknowledge twenty-nine individuals who exemplified outstanding on-the-job performances. Our luncheon began with the Newark Firefighters Pipe Band leading in this year’s Valor Award recipients. Lori A. Hennon-Bell, Vice President & Chief Security Officer/Global Security, Prudential Financial and President of the Two Hundred Club, gave a warm welcome and introduced Newark Police Detective Maysa Washington, who afforded the luncheon guests with a stirring rendition of the Star Spangled Banner. Ms. Hennon-Bell continued her welcome message and inspired us with an encouraging overview of the Club’s achievements and its future goals. As our program continued we were able to receive words from Essex County Sheriff Armando B. Fontoura, Honorary Trustee/Executive Committee Member of the Two Hundred Club, who saluted our finest and bravest. Sheriff Fontoura proceeded to inform the audience that 2015 was another costly year in terms of lives lost by brave law enforcement officers and courageous firefighters. Representing public safety departments across our nation, 128 law enforcement officers and 87 firefighters died in the line of duty. Sheriff Fontoura went on to say that while Essex County was spared our New Jersey neighbors were not as fortunate. 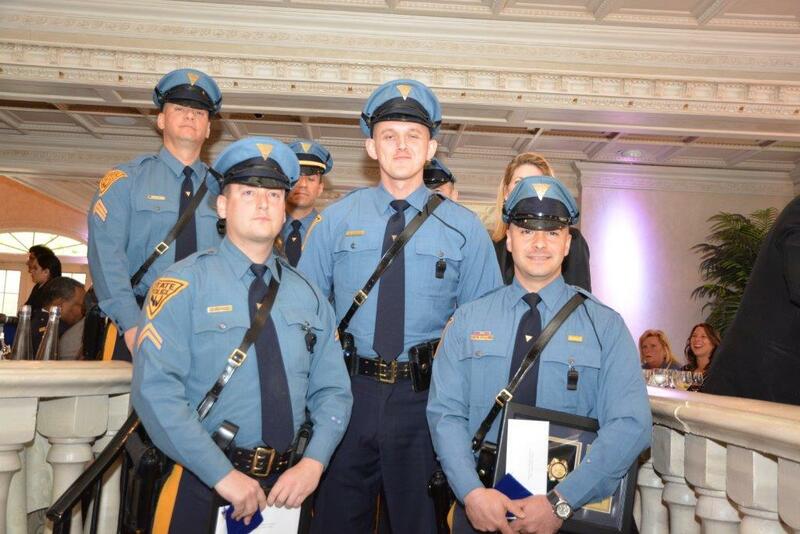 New Jersey State Police Trooper Anthon Raspa was on patrol on 1-95 on May 30, 2015 when his marked cruiser struck a deer, causing the vehicle to crash into a tree; Trooper Eli McCarson was responding to a domestic violence call on December 17th when he lost control of his cruiser during a heavy rainstorm and crashed into a utility pole; Trooper Sean Cullen had responded to a vehicle fire with injuries on I-295 on March 8, 2016 when he was struck and killed by a passing vehicle. Paramus Firefighter Sean Benson on September 23rd, South Amboy Fire Police Officer Ed “Bear” Celecki on October 14th and Keasby Fire Deputy Chief Tom Koralick on November 11th all suffered heart attacks immediately after responding to residential fires. Sheriff Fontoura asked the audience to take a look at the Honor Roll page in the luncheon program to see that in Essex County 87 brave police officers and courageous firefighters have made the supreme sacrifice on our behalf. He said “these valiant officers and firefighters hold a special place in our hearts and in the hearts of the people they served. We mourn their untimely deaths.” Sheriff Fontoura then asked everyone to bow their heads and offer a moment of silent prayer as we reflect and remember all fallen police officers and firefighters. The Two Hundred Club of Essex County was honored to have John J. Miller, Deputy Commissioner for the NYPD’s Division of Intelligence and Counterterrorism as its guest speaker. Dep. Comm. Miller addressed the role of First Responders being trained and equipped for domestic terrorist threats from ‘lone wolf’ attackers. He also praised law enforcement officers and firefighters for their unique bravery in dealing with life-threatening incidents and during life-saving events. 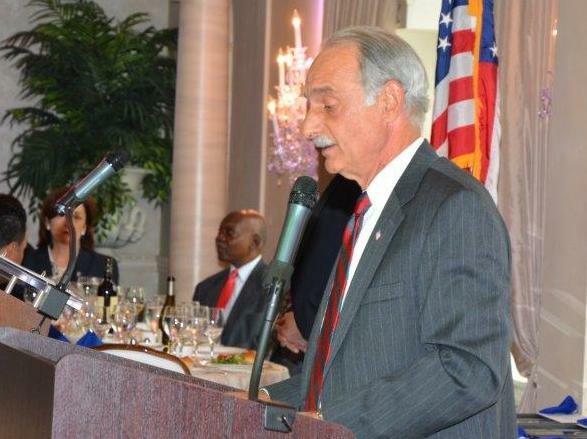 The Two Hundred Club of Essex County presented its John P. McLaughlin Award for outstanding service and duty to Arthur S. Guida, former 200 Club President and former Director of External Affairs for PSE&G. Mr. Guida served as President for the Two Hundred Club of Essex County for 10 years. Where he expanded the Club’s Board of Trustees to better reflect the community it serves and spearheaded initiatives to increase scholarship stipends for the children of police officers and firefighters killed in the line of duty. Mr. Guida served The 200 Club of Essex County long and well with distinction and dedication. The Two Hundred Club of Essex County was honored to present its John P. McLaughlin Award to Mr. Arthur S. Guida. Reverend Monsignor Christopher J. Hynes, Assistant to the Archbishop for Public Affairs, Archdiocese of Newark, graciously provided a warm and inspirational Invocation and Benediction. BEST WAY ELECTRIC COMPANY INC. 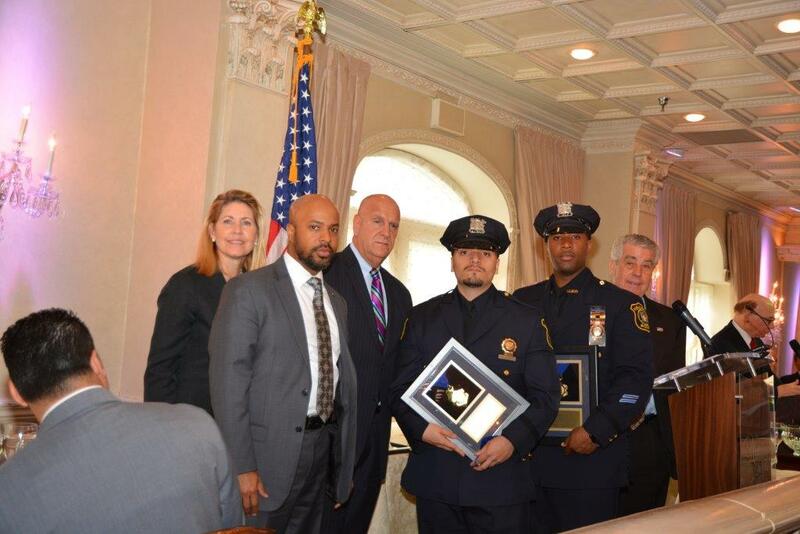 SPIRIT DELIVERY & DISTRIBUTION SERVICES INC.
Essex County Prosecutor’s Detectives (left to right) Kenneth Poggi, Carlos Olmo and Eric Manns were presented with Valor Awards on Thursday, May 5th at a ceremony hosted by the 200 Club of Essex County. The detectives earned their awards for the capture of two armed homicide suspects. On hand with the detectives are 200 Club President Lori Hennon-Bell (left) ECPO Chief of Detectives Quovella Spruill and Prosecutor Carolyn Murray. 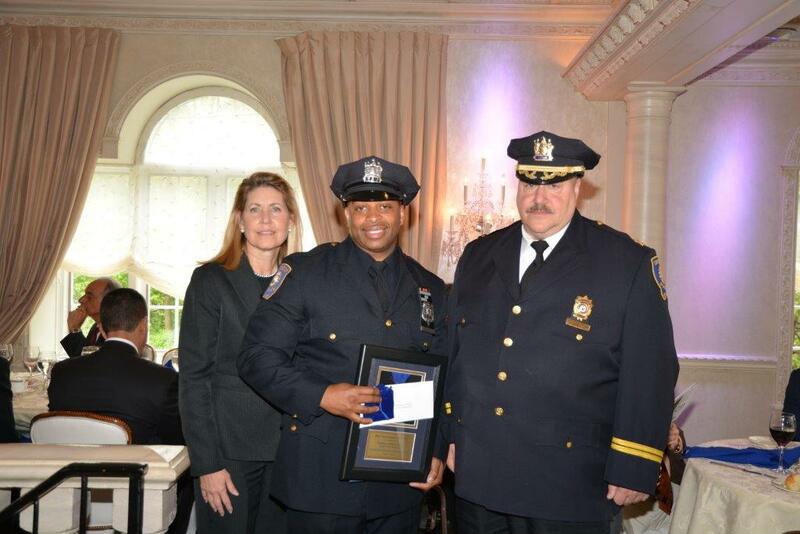 The 200 Club of Essex County (NJ) presented a Valor Award to Irvington Police Officer Edward Pearce (center) for single-handed capture on an armed suspect. The ceremony took place on Thursday, May 5th at Nanina’s in the Park, Belleville, NJ. On hand to offer their congratulations were 200 Club President Lori Hennon-Bell and Irvington Police Captain Stephen Yannotti. 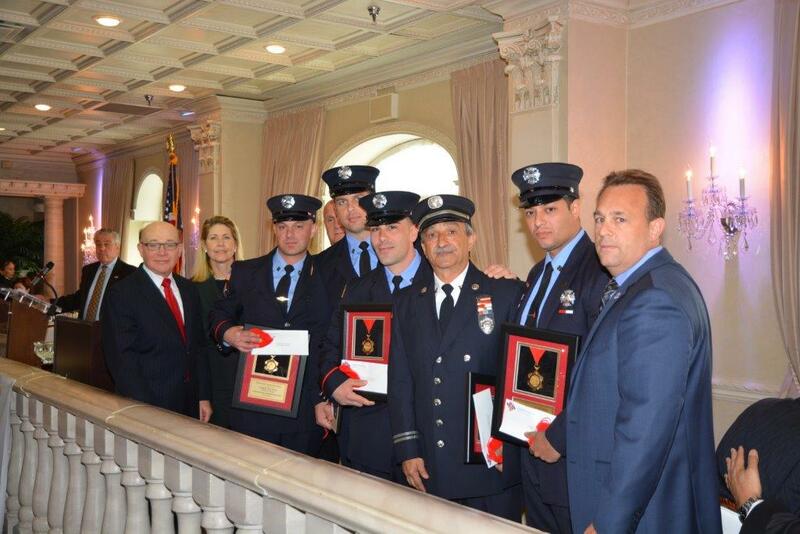 The 200 Club of Essex County presented Valor Awards to Newark Fire Captain Frank Fonseca (3rd from right) and Firefighters Tony DeFeo, Michael Bellina, Carlo Dello Russo and Carlos Henriques for the rescue of an unconscious pregnant female and two unconscious children from a residential fire. The ceremony took place on Thursday, May 5th at Nanina’s in the Park, Belleville, NJ. On hand to congratulate the heroic firefighters were 200 Club Executive Board member Ira Cohen, 200 Club President Lori Hennon-Bell and Newark Fire Chief John Centanni. 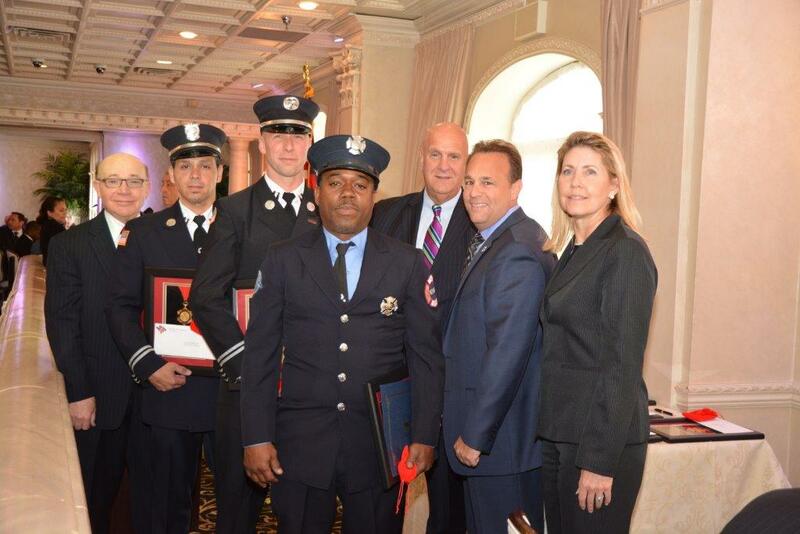 The 200 Club of Essex County presented Valor Awards to Newark Fire Captain Carl Wendt and Firefighter Raymond Hatton for their heroic rescue of three young children from a residential fire. The ceremony took place on Thursday, May 5th at Nanina’s in the Park, Belleville, NJ. 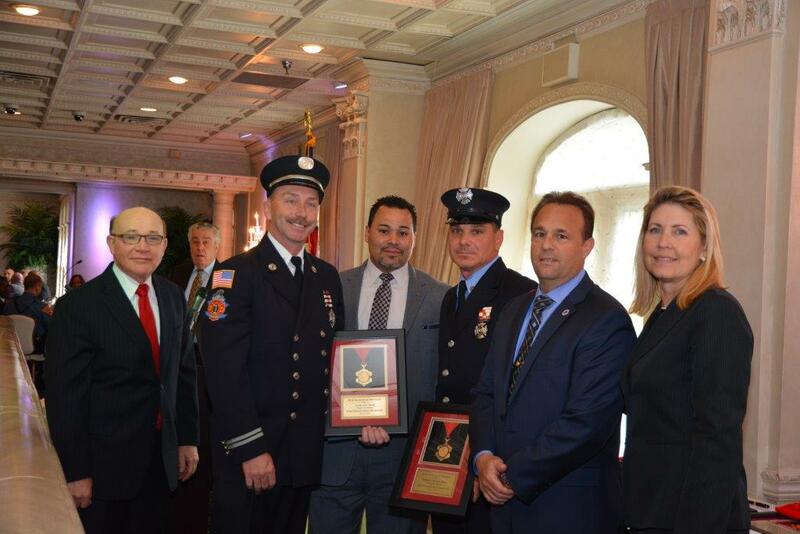 On hand to congratulate the heroes were 200 Club Executive Board member Ira Cohen, Newark Deputy Public Safety Director Raul Malave, Fire Chief John Centanni and 200 Club President Lori Hennon-Bell. The 200 Club of Essex County presented Valor Awards to Newark Police Detectives Juan Ramos and Wyhidi Wilson for their foot pursuit and capture of an armed suspect. On hand to congratulate the brave officers were (left to right) 200 Club President Lori Hennon-Bell, acting Police Chief Darnell Henry, Public Safety Director Anthony Ambrose and Sheriff Armando Fontoura. 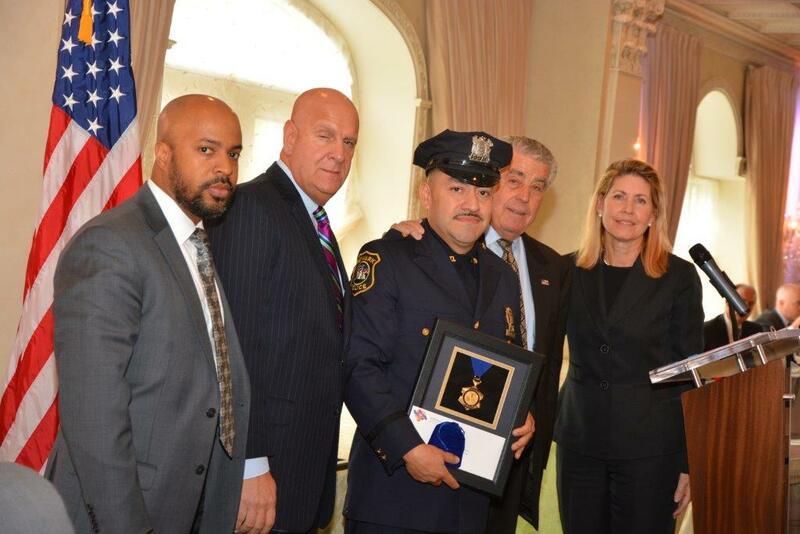 The 200 Club of Essex County presented its Valor Award to Newark Police Detective Glen Calderon for single-handedly capturing two armed suspects during a robbery in progress at a gas station mini-mart. The ceremony took place on Thursday, May 5th at Nanina’s in the Park, Belleville, NJ. Offering their congratulations to the brave officer were (left to right) acting Newark Police Chief Darnell Henry, Newark Public Safety Director Anthony Ambrose, Sheriff Armando Fontoura and 200 Club President Lori Hennon-Bell. 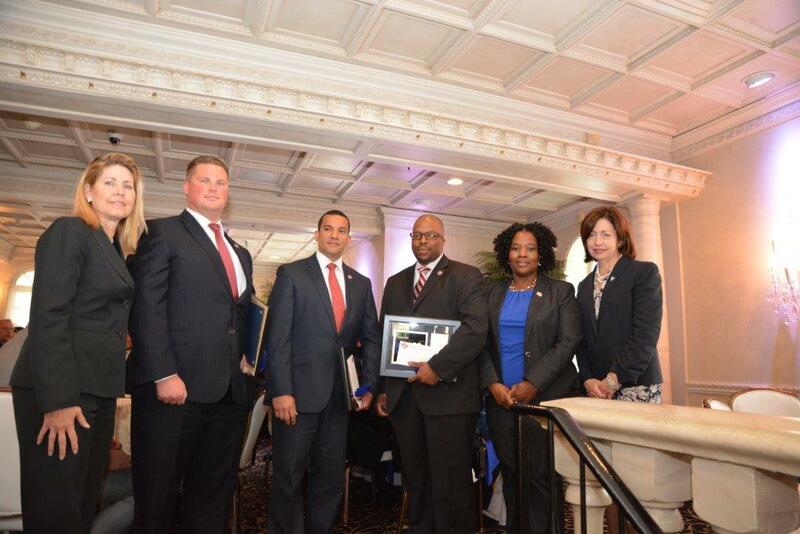 The 200 Club of Essex County presented Valor Awards to members of the Newark Police Department’s Firearms Interdiction Team (left to right) NJIT Sergeant Antoine Hughes, Newark Sergeant Matthew Ruane, Essex County Sheriff’s Detective Abdullah Holmes and Newark Detectives Tyrell Wheeler and Ana Colon for the capture of two armed suspects who opened fire on them on a city street. The ceremony took place on Thursday, May 5th at Nanina’s in the Park, Belleville, NJ. Sheriff Armando Fontoura (2nd from right) and NJIT Police Chief Joseph Marswillo were on hand to congratulate the officers. The 200 Club of Essex County presented Valor Awards to New Jersey State Police Detective II Edward Schmalz, Detective II Anthony Giunta and Trooper Blazej Oczkos for the capture of a suspect wanted for kidnapping and attempted murder. The officers also rescued a three-year-old victim during the incident. 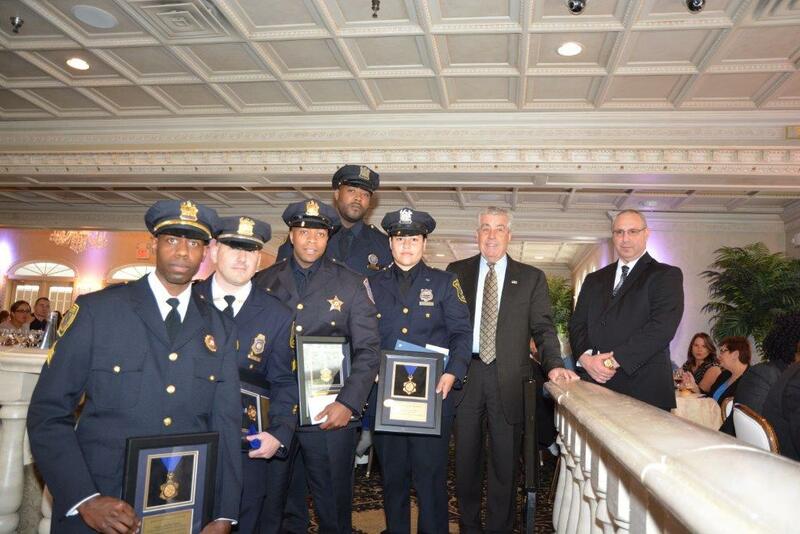 The Valor Awards ceremony took place on Thursday, May 5th at Nanina’s in the Park, Belleville, NJ. A cadre of other State Police officers attended the event. 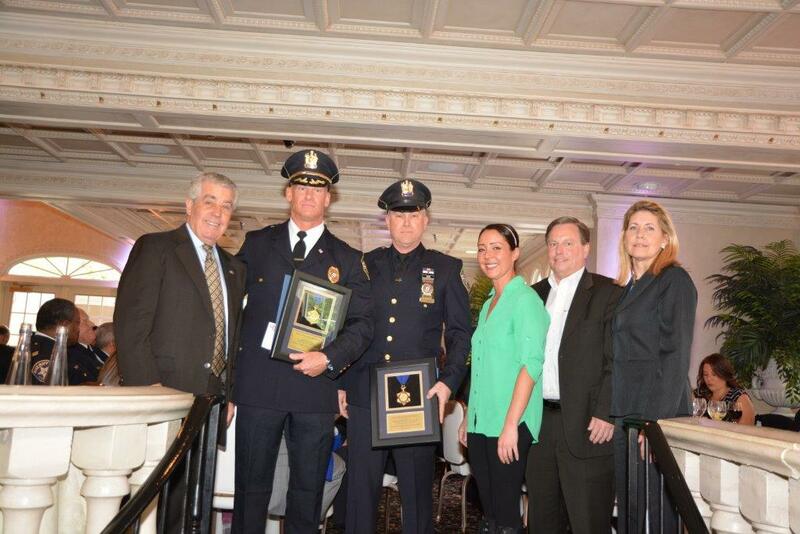 The 200 Club of Essex County presented Valor Awards to South Orange Police Chief Kyle Kroll and Detective Steven Davenport for their foot pursuit and capture of an armed suspect. The ceremony took place on Thursday, May 5th at Nanina’s in the Park, Belleville, NJ. On hand to congratulate the brave officers were (left to right) Sheriff Armando Fontoura, South Orange Village President Sheena Collum, Business Administrator Barry Lewis, Jr. and 200 Club President Lori Hennon-Bell.